The first part of the meditation calls for running in place while rapid hand drumming grows with a gradual intensity. In the second stage, the music mimics the instruction for movement given in the notes. Slowly swaying bass guitar lines match suggested side-to-side waist rotations. The third phase offers delicate acoustic finger picking that is intended to focus energy to the third eye. The final phase of this album is entirely silent, where the eyes are to be shut and the body still. MANDALA MEDITATION provides an accessible meditation regiment for those of all interests and levels and is a great place to find out more about the Osho Active Meditation approach. With the body as its own mandala, this practice brings one to the centre by creating a circle of energy. Included are a breathing stage, a centring circle stage, a third eye circle stage, and a witnessing stage. 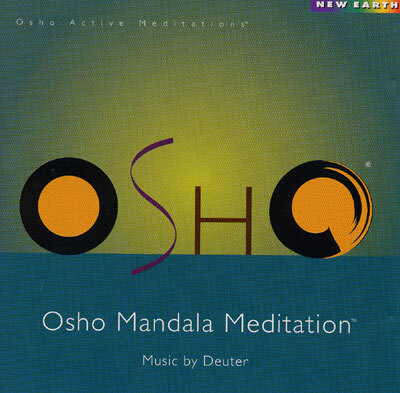 The four 15-minute tracks on MANDALA MEDITATION were created specially by George Deuter for the Osho technique of meditation.